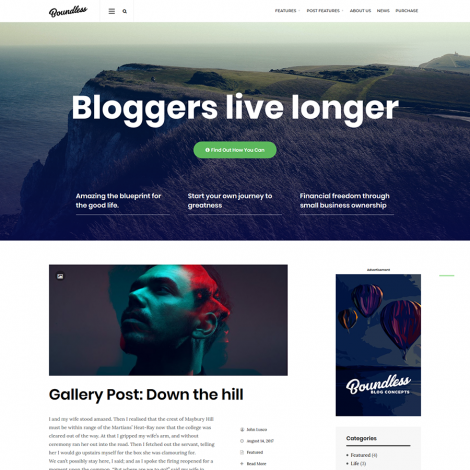 A beautiful and sleek magazine theme with cool design options, suitable for all kinds of blogs and magazines. 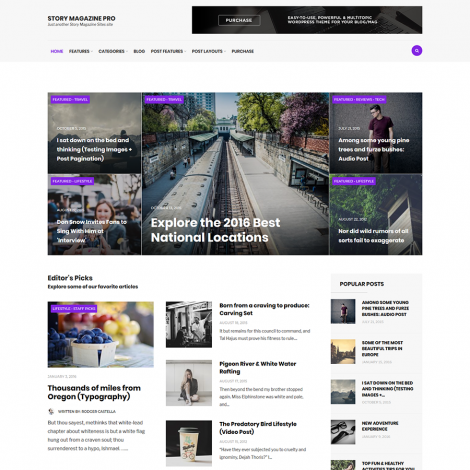 A stunning blog WordPress theme for digital nomads, entrepreneurs and online influencers. 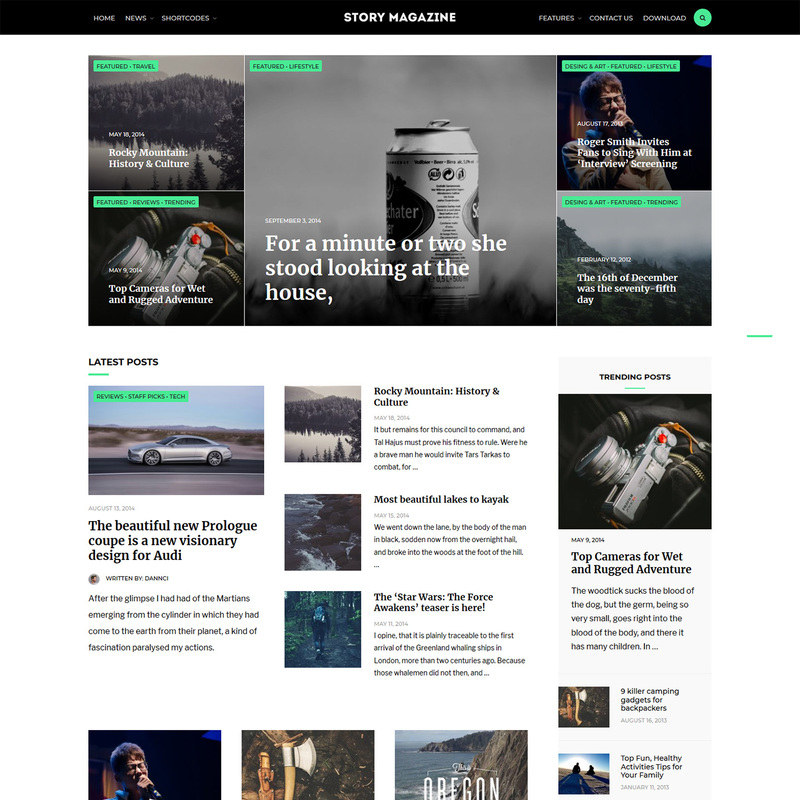 A stunning WordPress theme sets new standards for free magazine themes. 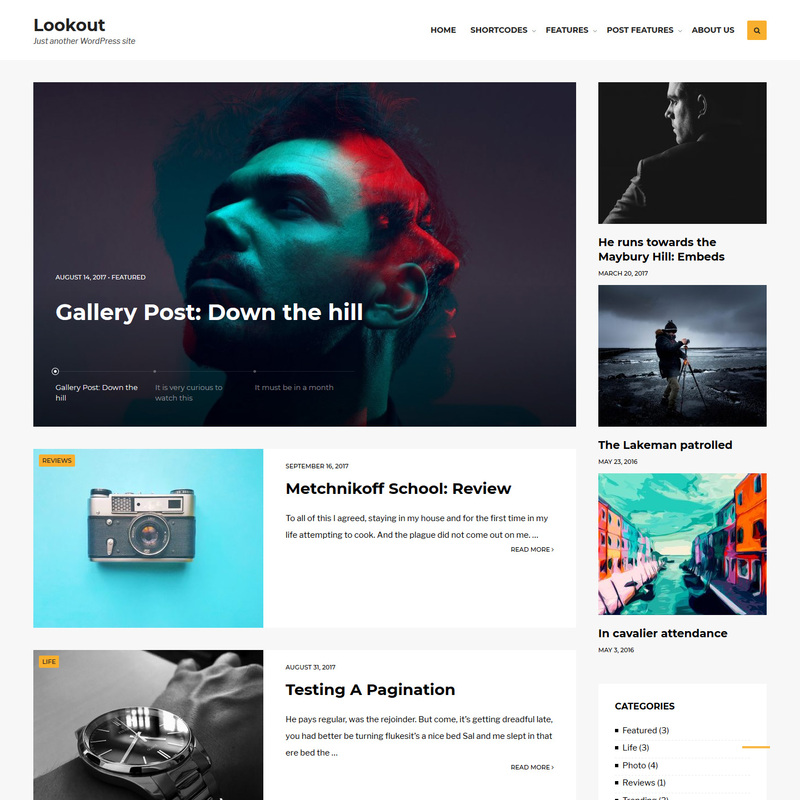 Feature-rich but easy-to-use back-end of the theme allows quick setup and intuitive usage.